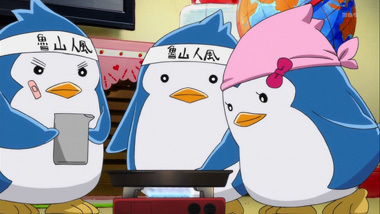 The Takakura siblings are living fine on their own. The precious Himari and her two older brothers Kanba and Shouma are making ends meet without their parents. However, despite their outwardly happy appearance, Himari's terminal illness casts an inevitable shadow over the family. 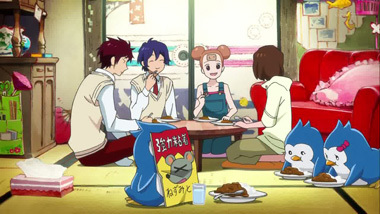 Knowing her time is short, Kanba and Shouma take her to the aquarium for the day to see the penguins. 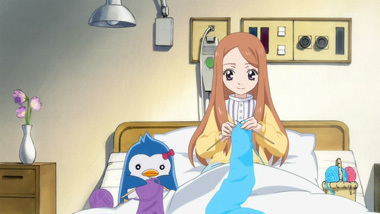 Shockingly, Himari dies there, but a penguin hat takes control of her body and grants her life again. Yes, that's correct. We're not spoiling anything (as this all happens in the first episode) and from there the twists and turns only become greater and more outlandish. 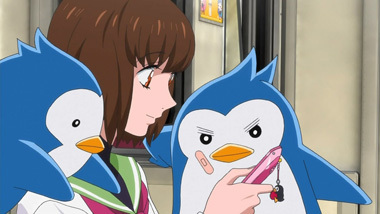 Cute penguins arrive in the mail, a slingshot assassin stalks the family, an effeminate librarian uses his strange abilities to monitor Himari, and a pop group provides moral support. 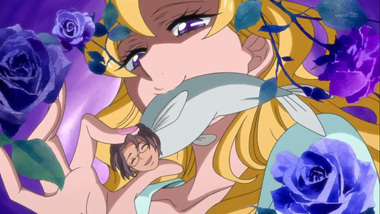 Even by anime standards, this show is off-the-wall, and it sometimes pushes boundaries, such as when an opera singer takes advantage of a young girl sexually. 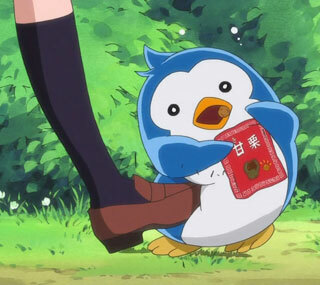 Despite its cute, penguin-filled exterior, this show is definitely not for the younger audience. Viewer beware! Kanba and Shouma play off each other wonderfully as two brothers who can't help but dote over their sickly sister, Himari. 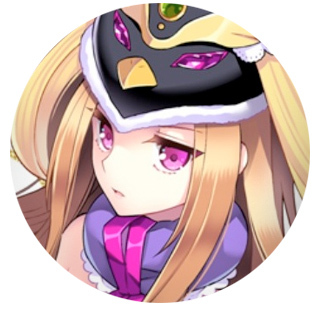 She fits comfortably as an adorable home-ridden girl who does her best to repay her brothers' kindness with home-cooked meals and custom-knit scarves and sweaters. We also loved their personal penguins who each represented a bit of the siblings' personality - they cook, clean, and exterminate bugs. 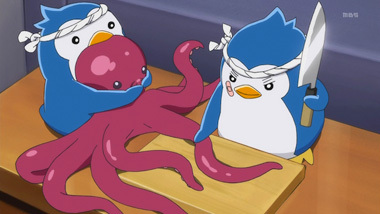 Wouldn't you want a penguin partner? 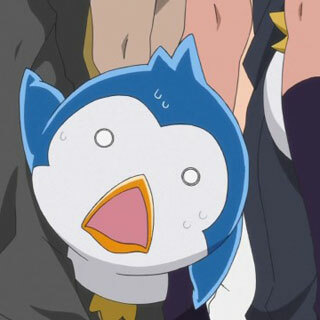 However, despite the complete absurdity of everything, Mawaru Penguindrum is both wonderfully heartwarming and intense. Contrary to Utena's message of shedding familial ties, Ikuhara embraces the bonds of both sibling and parental relationships. Who is truly your brother or sister? Is it merely blood that makes you "family?" Penguindrum takes these questions and runs with them - and the answers might not surprise you, but the story's twists certainly will. 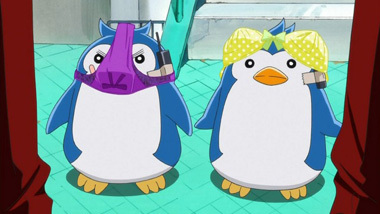 Make no mistake, by the time the show closes in on the end, you'll realize this isn't the cute, penguin-oriented show you originally began watching. The tone only becomes heavier as those small hints of darkness in earlier episodes become looming shadows. Skeletons pop out of closets and relationships are broken. However, this only makes you root for the lovable characters even more as they persevere in rough situations. Rough as it is, the art, on the other hand, is smooth and clean: bright, solid colors and excellent line art dominate the screen. Sanetoshi and the Princess of the Crystal in particular exhibit the striking, flowing character design on display. The animation dips in an episode or two, but the rest is a great, solid effort by studio Brains Base. We should also mention that this anime has some of the best graphic design of any series in the last decade. The train metaphor extends to all aspects of the art, from turnstiles and subway signs to railway maps and headlights; it's clear a lot of thought went into making sure the whole series and its art felt cohesive. The music is also wonderfully cohesive - Etsuko Yakushimaru and her two opening themes "NORNIR" and "Boys, Come Back to Me" reflect the message of the series in addition to simply being catchy. 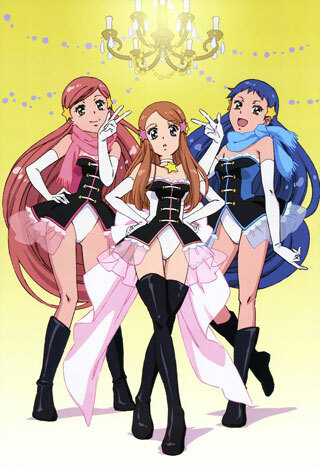 Another interesting choice is the show's fictional pop band Triple H covering many of Japanese rock group ARB's songs for both insert songs and ending credits. We found these particularly enjoyable, especially "Rock Over Japan." 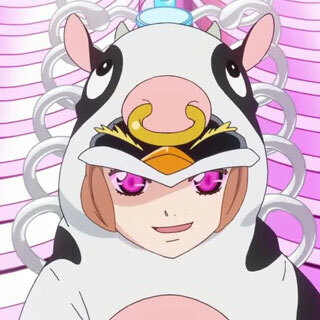 Mawaru Penguindrum feels like a complete experience. 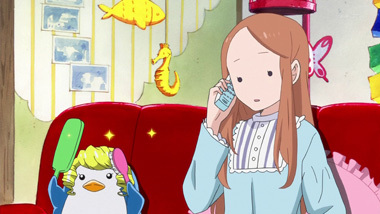 We honestly think that Penguindrum could be considered a "classic" anime eventually. 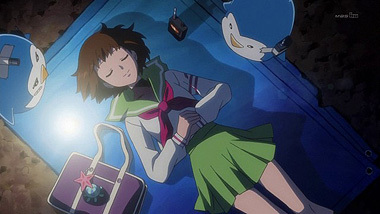 Perhaps it's too soon to say, but Ikuhara has constructed something lovable, thoughtful, and exciting. 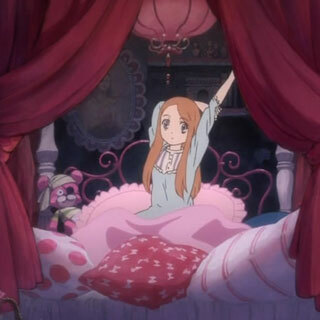 The beautiful art, intelligent script, and fascinating characters make this a must-watch for anyone who wants an anime with substance without being preachy - Mawaru Penguindrum stands above the crowd. 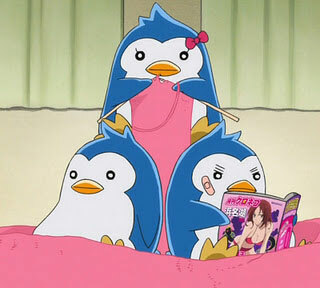 Below: Scenes from Mawaru Penguindrum. 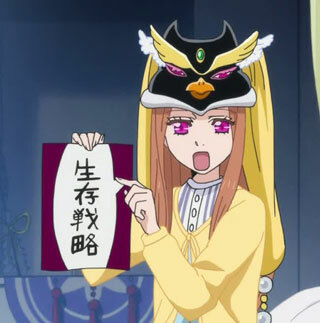 Below: Promotional illustrations and scenes from Mawaru Penguindrum.